When we think about having a dog, we usually worry about the expenses that puppies may cause us throughout their lifetime, like food, hairdressing and veterinary. Taking all of this into account, to acquire a pet isn’t a small investment; however, dogs are loyal, loving and man’s best friends. So if you want a dog, there are some puppies that are reasonably priced. In this article we’ll show you 10 of the cheapest dog breeds! The beautiful Plot Hound is one of the cheapest dog breeds and also one of the most majestic breeds. They are black, black tabby and brown brindle. It’s characterized by being a friendly, intelligent and an honest puppy. Also it’s known by its great courage, its great resistance and, especially, its beauty. Its estimated price goes from 300 to 500 dollars, and it’s generally used in hunting because it’s a tenacious tracker. Next in these top of 10 cheapest dog breeds: The Black Mouth Cur. This is a beautiful breed and very lovely with children. They have short coats, either coarse or fine, and a combination of the two types may appear in some of them. They come in many colors, all shades of red, yellow, black, brown or brindle; with or without black muzzle or mask. As we can see, the name of this breed is Black Mouth Cur due to this puppies have a black snout. Also these nice dogs are known by its energetic and salient character. Their price is between 500 and 600 dollars, whereby they are considered as one of the cheapest dog breeds. Among the list of 10 cheapest dog breeds we find the Aidi, which is generally used as a livestock guardian, protecting herds of sheep and goats.This cute puppy is characterized by having plentiful hair and having many colors and nuances between black, brown and white; also with stains of different shades. Its price is about 400 and 500 dollars. In addition to being one of the cheapest dog breeds, The Aidi might become a lovely pet, faithful and sociable, ideal for a family. In the same way, it’s energetic, highly protective and it’s said to make an outstanding watchdog. One of the 10 cheapest dog breeds is the Dachshund or Wiener-Dog, which is characterized for being a short-legged, long-bodied, hound-type dog breed. This dog has colors ranging from black to brown; and there exist a lot of coat varieties. These beautiful puppies are considered as one of the cheapest dog breeds since its price is generally about 400 dollars. Moreover it’s known for being playful, stubborn, brave and very intelligent. 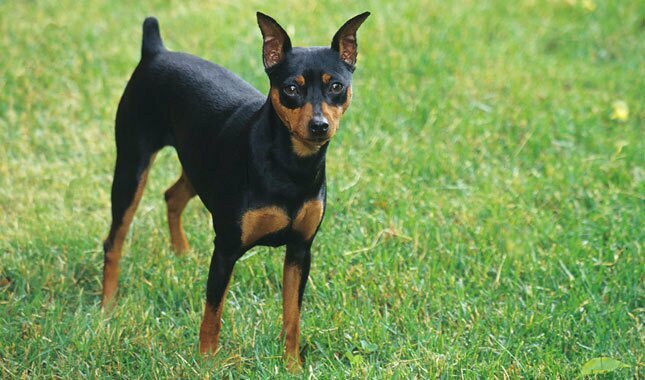 The Miniature Pinscher is a small dog breed native to Germany. 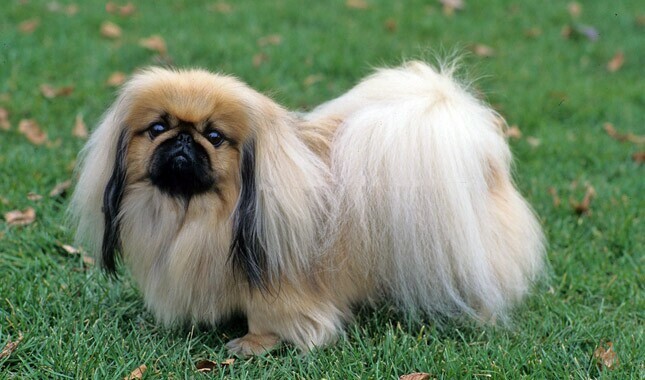 This is one of the cheapest dog breeds because its price is generally 500 dollars. These little dogs are fearless, energetic, and protective; but despite being one of the cheapest dog breeds, we must take into account that skin diseases are very frequent in them, reason why we should take necessary care. The Pekingense is an elegant dog breed, characterized by being independent, refined, and sometimes conceited; it’s said that they always think they can make whatever they want. These cute dogs are one of the cheapest dog breeds since they usually cost 550 dollars. They use to be very aggressive with strange people, but very attentive with their owner; however, despite being one of the cheapest dog breeds, we must know that they suffer from many diseases, from juvenile cataracts to continous irritations in their eyes. Another kind of dog among these top of 10 cheapest dog breeds is the Papillon, or also called the Continental Toy Spaniel. These cute puppies are known by the shape of their ears, similar to a butterfly, that are usually black or white with red. They are friendly, elegant and enough extroverts; they also enjoy the company of children and another animals. This breed belonging to the cheapest dog breeds, was baptized by queen Marie Antoniette, who had a puppy called “Le Petit Papillon”, that is to say “The little butterfly”. Its price is around 595 dollars. The Parson Russell Terrier is often confused with The Jack Russell because they are almost equal, except for their legs. This is one of the cheapest dog breed, since its price varies between 500 and 600 dollars. Its color can be entirely white with brown or black spots; and they are characterized by being playful, friendly and athletic. In addition to being one of the cheapest dog breeds, they are very energetic and will became the master of your home if you only give it a chance; but in general, it’s a very intelligent dog and he responds to training. This breed is popular by its special skills, like tracker as a hunter dog. It’s medium size and it has a dark brown color. These dogs are considered as one of the cheapest dog breeds and their price goes from 400 to 600 dollars. They are vivacious, obedient, faithful and docile dogs. They may bark in case of boredom and they will delight us with its melodic voice if we let them alone. In addition to being one of the cheapest dog breeds, they are also appreciated as guardians. And finally in this list of 10 cheapest dog breeds: the Field Spaniel. This is a medium-sized dog breed with silky hair native of England. Its most common colors are black, brown and blond with fire marks and they are characterized by being docile, assets, sensitive, affectionate and independent. Its estimated price is around 750 dollars. In addition to being one of the cheapest dog breeds, is said that it’s a breed of ancient lineage related with the Cockers Spaniel, which it dare the same origin. These are only ten of the cheapest dog breed, because in fact there are more than 100 in the world. But despite all of this, we must know that at the moment we want to acquire a dog as a pet it’s not important if it’s part of the cheapest dog breeds or the most expensive dog breeds, because dogs, big or small, are the loyalest friends of the man; they have a great heart, they protect their owner from any situation and they give their unconditional love.